***NOMINATIONS FOR THIS AWARD ARE NOW CLOSED. 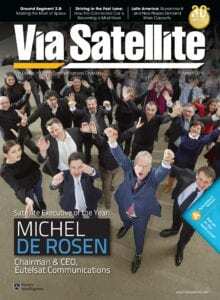 This year’s Satellite Executive of the Year Award winner will be announced — and honored as the most outstanding industry executive of the year — LIVE at SATELLITE 2019, Wednesday, May 8 in Washington, DC and in the July 2019 issue of Via Satellite. 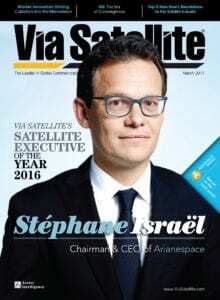 The honoree is chosen for their durable contributions to the global satellite markets, technologies, business practices, services, innovations, or any combination of the aforementioned. If you would like to nominate someone for this honor, please complete the nominating ballot below. The deadline for 2018 nominations is Friday, February 22, 2019. 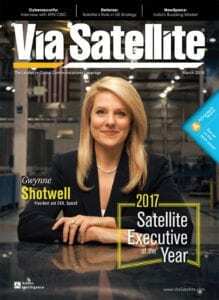 All nominees must guarantee that they will be present at the SATELLITE 2019 awards reception luncheon.